Experts in the social graces—and there are many—don’t agree about much. But they speak with one voice on this important issue: They all say gold is the traditional gift to celebrate 50 years together. After all, a golden anniversary is a milestone that sets hearts fluttering. Think about it, folks: That’s half a century! But racers—especially those who drive Morgans—don’t always stick to tradition. 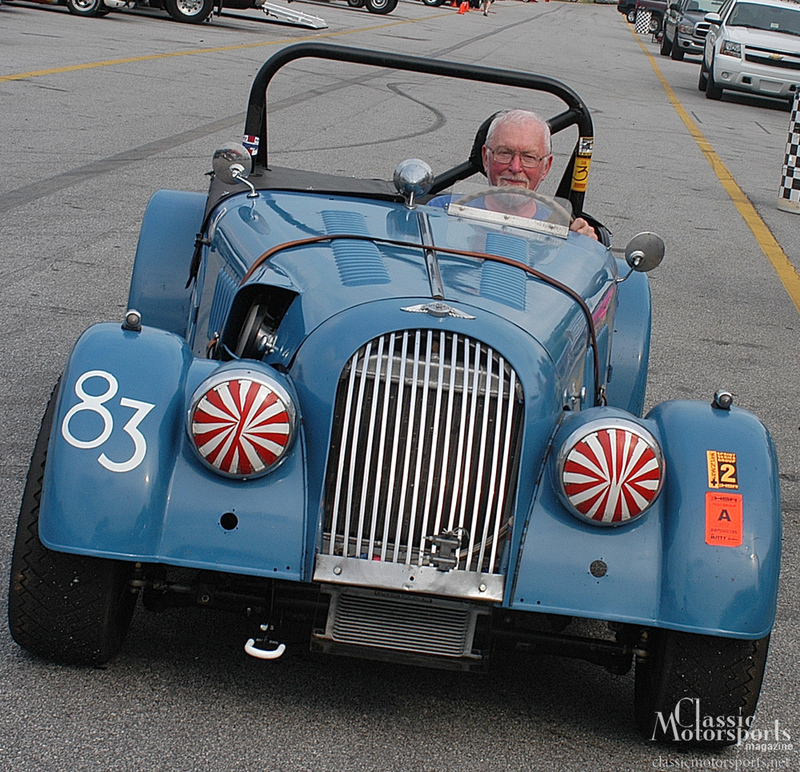 Here’s an example: To celebrate their 50th racing season together, Pat Starr gave his Morgan a new camshaft. More about this camshaft later. On a cold day in January 1963, Pat, then in graduate school at the University of Minnesota, walked into Grand Prix Motors in Minneapolis and laid down $1275 in cash for a 1958 Morgan roadster with 13,000 miles on it. Naturally, despite the freezing weather, he drove it home with the top down. And they have, as much as they possibly could. Of course, sometimes life intervened. Throughout the last 50 years, along with racing, Pat raised a family (he has seven grandkids), earned a master’s degree and a Ph.D. in engineering, changed jobs a few times, enjoyed a long career as a professor at the University of Minnesota, and then retired. So Pat and his Morgan missed a few racing seasons here and there. But this team—his wife, Margie, is a crewmember—is still running strong in their 50th season. Now that Pat has more time to play, his enthusiasm for racing is as strong as ever. “It’s still just as much fun as it was when I started,” he says. Pat became a car guy at an early age. He was reading Hot Rod when he was 14 and later switched to Road & Track and Sports Cars Illustrated (now called Car & Driver). As an engineering student, he studied the cutaway drawings and soaked up chassis and suspension design. He went to races at Road America as well as local SCCA events, and he especially loved watching the big-bore specials and sports racing cars. To learn the mechanical side, he went to work part time as a machinist’s assistant in a shop on the U of M campus. He bought a welder and learned to use it—he even designed and started building a Chevy- powered racer. But he really wanted a sports car. His folks helped him buy a used MGA in 1961. He enjoyed driving it to school and work, but it didn’t spark his urge to compete. Then he spotted the Morgan. “I liked its style and the fact that so few were made,” he says. 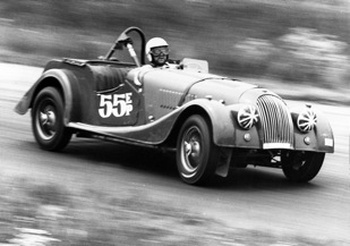 “Other cars had suspension options and aftermarket bits, but not Morgan. It handled well right out of the box.” He sold the MG to help fund the Morgan and has never looked back. When the 1963 season opened, Pat took the Morgan to an SCCA Drivers School at the Southport Airport course and launched his racing career. For the next six years, he used the roadster for transportation during the week and racing on the weekends. He moved up to SCCA Regional and then National events. 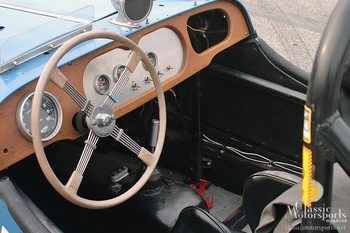 Since the Plus Four needed to remain street-legal, modifications were few: Pat installed a bolt-in roll bar, straight-pipe exhaust and racing windscreen. He kept its Triumph TR3 engine nearly stock, so it was simple to maintain. By the end of 1969, Pat had logged 13,000 more miles on the Morgan, and most of those miles came from driving to nearby tracks, racing and then driving home. In 1970, he decided to turn the Morgan into a serious SCCA racer, so he retired it from the street and pulled it apart. He installed custom front spindles and disc brakes, welded up the rear end, reworked the rear suspension, installed a new roll bar, built a race engine and adapted steel wheels. The first time out with this new setup—once he mastered the locked rear end—he recalls yelling inside his helmet, “Hey, it works!” as he knocked off 4 seconds from his lap time at Brainerd. Of course, with more power and speed came more problems. (As more than one racer has observed, the faster you make your car, the shorter your fun lasts.) Pat faced problems like engine overheating and spun rod bearings—along with blown tires that ripped fenders. Still, he maintains it was great fun, and he also learned a lot. In 1976, as vintage racing was getting started, Pat became a founding member of Vintage Sports Car Racing in the Twin Cities area. 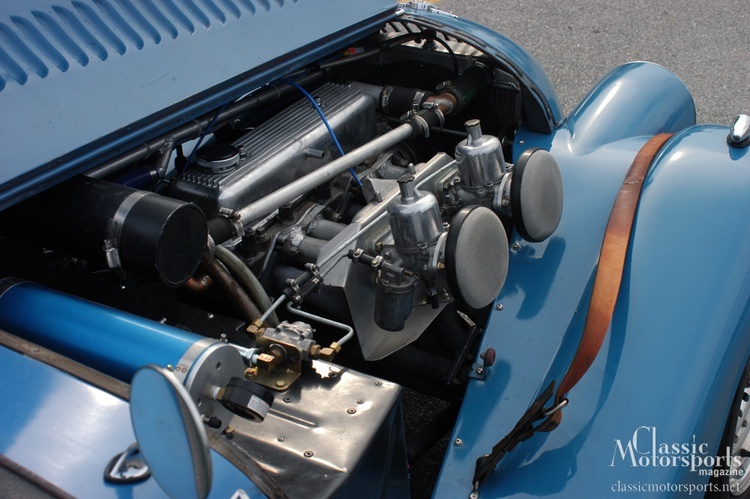 He toned down the Morgan by installing a milder engine and street radial tires. For the next seven years, he ran events at Brainerd, Road America and Blackhawk Farms. Pat became smitten with another racer in 1984, and the Morgan went to a corner of the garage. He fell for a TR3-powered, aluminum-bodied E Mod special called the Peyote. It was built in 1959 by Dewey Brohaugh, the dealer who sold Pat his Morgan, and Bill Ames. This special had enjoyed a modest SCCA career in the Twin Cities area before it retired and eventually ended up in a junkyard. After Pat bought it, he re-engineered the chassis, suspension, engine and drivetrain. He raced this car in vintage events for five years and sold it in 1990. When he wasn’t on the track with the Plus Four or Peyote, Pat stayed busy as an advisor to the U of M’s vehicle projects, starting in 1992 with the SAE Mini Baja team. “I loved working with the kids and was pretty good at it,” he says. During this time, his project teams created six Mini Baja vehicles, seven solar vehicles and seven Formula SAE vehicles. His students competed in 28 events, including solar car races in Japan and Australia. While these high-tech adventures were fun, instructive and rewarding, Pat always returned to the Morgan, his simple-as-an-anvil racing partner. 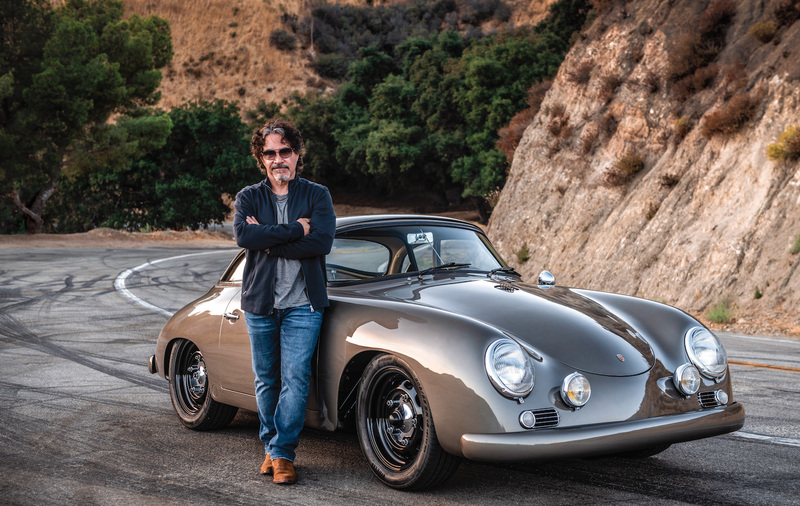 During his 50-year Morgan ownership, Pat has performed three body-off rebuilds, each with the goal of making the chassis and suspension stronger and more competitive. He’s rebuilt the engine and the transmission many times and performed countless repairs. While he enjoys wrenching, he dearly loves track time. Racing the Morgan, he doesn’t pay much attention to classes; he just enjoys dicing with cars of similar speeds. He says he strives to run hard but still tries to leave room for competitors—which means not slamming the door or diving inside on corners to pass. He puts it this way: “Racing clean and hard beats winning.” This credo has worked well for him. During all those races, he’s never had a serious shunt. Simply put, Pat races for fun. As every competitor knows, racing is a game of extreme highs and despairing lows. Pat has seen his share of both; he can close his eyes and recall the thrill of winning a sprint race 30 years ago, or relive the frustration of a DNF— and remember exactly what caused it. He’s always raced on a budget, fielding a DIY effort generally with wife Margie as crew. In the early days, they camped at the track with the kids, who grew up with this car and enjoyed the racing scene. Over half a century, this Morgan has become part of the fabric of his and his family’s lives. When asked about this long adventure, Pat admits that he had no master plan. When he drove home his Plus Four on that freezing day in 1963, he had no idea he would still be driving it—racing it—50 years later. But as time passed, the Morgan was always there (he says he was never tempted to sell it), along with family, education, jobs and other interests—he’s also an amateur jazz pianist and has played in several groups. He’s made many friends, developed and tested his mechanical skills, and honed his driving style. He has loved the camaraderie, the generous help of other racers and the thrill of competition. Most of all, he’s enjoyed 50 years’ worth of fun and is looking forward to keeping the Morgan’s decibel level up as long as he is able. He’s reflective about this remarkable milestone, but not awash in nostalgia—maybe because he’s too busy getting ready for his next race. Time stalks all racers, but Pat and his Morgan have done a great job of staying several car lengths ahead. So what about that golden-anniversary camshaft? Last year, Pat finally splurged and built an engine with a steel crank and rods. He said that when he got things sorted and hit the track, the engine pulled like a train, clipping seconds from his time at Elkhart Lake. But at the very start of their 50th racing season together—with absolutely no warning— the Morgan’s camshaft broke during a practice session for the 2012 Classic Motorsports Mitty at Road Atlanta, logging only its fourth DNS. Disappointed but undaunted, Pat packed up and made the long tow back north. Then he pulled the motor apart and—well, you know the rest. He didn’t tell us if he presented this shiny new cam to the Morgan in a gift-wrapped box appropriate for the occasion. No cake, of course—50 flaming candles are far too dangerous in the garage. After the unpleasantness at Road Atlanta, Pat rebuilt the Morgan’s engine and returned to the track, determined to finish his golden-anniversary season in style. At the Portland Historics (a 1750-mile tow), Pat bettered his previous best lap time by 4 seconds; at the Elkhart Lake Vintage Festival, he shaved 5 seconds off his fastest lap. In both events, the Morgan ran well and finished as high as fourth. We’re happy to report that this duo finished their 50th year together with the same determination and zeal they displayed in 1963. 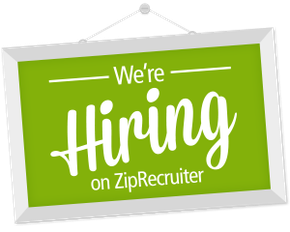 Join Free Join our community to easily find more Morgan articles. Inspiring! I just bought my first moggie (a totally restored '62 Plus 4 roadster) after many years with a Triumph Spitfire and before that, a couple of Minis (61 850, 63 997), a Jag (Mk XIX), a pair of Mustang GT convertibles and a few other rides in between. What I don't get is how he's fitted some type of air filter on his SUs without a special blister on the bonnet. Does this moggie have a custom intake manifold?